Last Thursday, an advisory committee (made up of 28 members), recommended that the FAA now allow airplane passengers usage to their electronic devices during takeoffs and landings. Although, some usage would still be limited to operating in airplane mode, things such as phone calls, web surfing and downloads would continue to be prohibited. 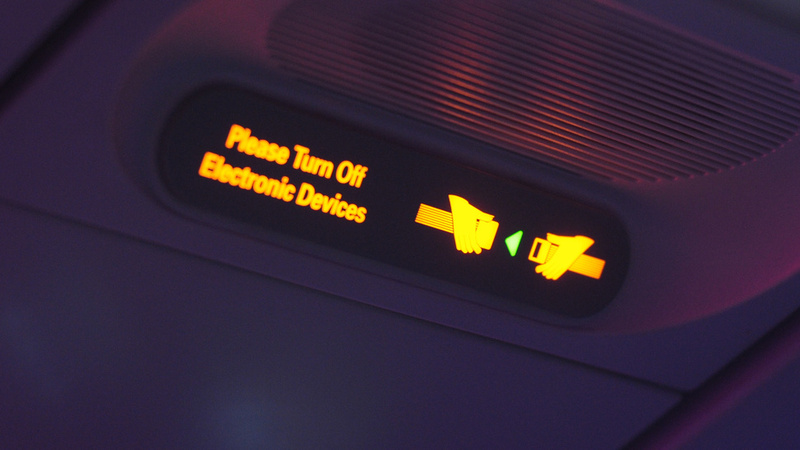 Passengers have always been required to turn off electronics due to possible interference with sensitive cockpit equipment, but new planes have been built with this is mind. An Amazon spokesman even states that they been doing some testing with the FAA that includes a plane full of active Kindles. Of course, it's up to the FAA officials to make a final decision, but committee members, including Sen. Claire McCaskill (D-Mo.) feel strongly about this one. Even going as far to say that if the FAA doesn't 'act swiftly' to implement the recommendations, she'll introduce legislation to force its hand. Adding, "I will know it if I see that they are stalling."